Our experienced staff is prompt, friendly, and thorough. We are a full-service residential and commercial overhead door company providing garage door and garage door opener repair service, maintenance, replacement as well as new installations. Our goal is to provide our customers the best products with the best service for the best price and pride ourselves in our quality workmanship and top-notch customer service. Action Garage Door is there when you need. If you have an emergency with your garage door or garage door opener, please give us a call, day or night. We will work to fit repairs into your schedule. We cover all of Northern Nevada including Reno, Cold Springs, North Valley, Lake Tahoe, Incline Village, Fernley, Fallon, Dayton, Carson City, Gardnerville, Minden, and Topaz as well as most surrounding areas. In other words, we will work just about anywhere in Northern Nevada! 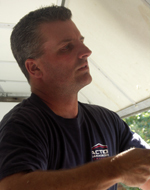 Dave has 25 years of experience repairing and installing overhead garage doors. 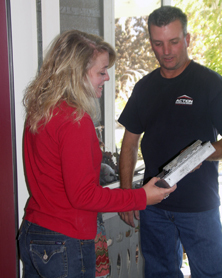 His knowledge of the products and how to maintain, repair, and install all makes of overhead garage doors and openers along with his friendly attitude, attention to detail, and honest pricing is what separates Action Garage Door from the competition. When Dave repairs a door, it is done right the first time! Quality parts insures your door and opener will operate safely and last longer and that is why we only use the highest quality hardware and replacement parts with the best warranties on the market. Our goal is to provide our customers the best products with the best service for the best price and we will never surprise you with hidden fees or costs. We know that a happy, satisfied customer is a returning customer.